With a few very busy work weeks in my rearview mirror, I had been looking for a quick way to de-stress my mind (and my skin). Around that time, an e-mail popped into my inbox from Amy Sahota, the founder of Vancouver’s brand new Bare Essentials Skin Bar. Amy invited me to check out their new space and treat myself to something off the bar’s skin care menu. I made my way to Bare Essentials on a recent Friday afternoon and was greeted by Amy and one of Bare Essentials’ skin experts. With a glass of skin-saving lemon water in hand, I was quickly whisked to the treatment area for a thorough skin consultation before my treatment. I received a treatment combining Vantini and the Mai Tai, leaving my face feeling unbelievably fresh, clean and touchably soft. Bare Essentials abides by the “quick and clean” concept seen cropping up in Vancouver through hair bars, nail bars and even eyebrow bars. 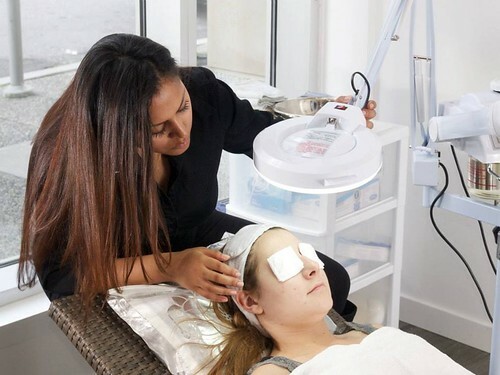 Each of the cleverly-named and targeted skin treatments costs $45 and has you in and out in 30 minutes. It’s perfect for lunch hour pick-me-ups or last minute skin emergencies! 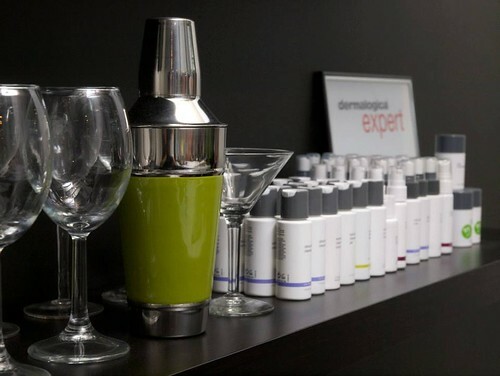 All treatments use only products from the Dermalogica line, promising a non-allergenic and natural approach to skin care and maintenance. Dermalogica’s complete line is also available in-store in case you want to add items to your at-home arsenal. Bare Essentials Skin Bar invites you to “be skin happy” and visit them in their central location at 790 Richards Street, under the L’Hermitage Hotel at Robson and Richards. You can also check out Bare Essentials online, on Facebook or follow their updates on Twitter and Instagram. CMP.LY/2 My treatment was complimentary of Bare Essentials Skin Bar. I was not paid or asked to write this post. My thoughts, views and opinions are entirely my own.